"Five Diamond Certification" means that 100% of our central station operators have passed CSAA Central Station Operator Training Course Levels I and II, which covers all phases of central station communications, as well as demonstrated proficiency in communications with Emergency 911 centers. Less than 4% of U.S. central stations have received “Five Diamond Certified” status, and we are proud to be one of them. A classic set-up for retail and commercial establishments, open-close monitoring allows a location to be secured during “closing” time and unarmed while the store is open. But with open/close monitoring included instead of putting the responsibility of activating the system solely on an employee, the open-close status is monitored against a schedule requested by you. Should the “closing” time pass and no “close” signal be received, our team will call the store and/or the Emergency Call List to ensure the space is safe and get an update on the new closing time planned for that day. This same procedure is followed for opening to ensure your building is open for business at the correct time. Want to remove human error from the equation at closing time? Auto-arm panels can be programmed to automatically arm themselves at a pre-programmed time if the system has not been armed by an employee. 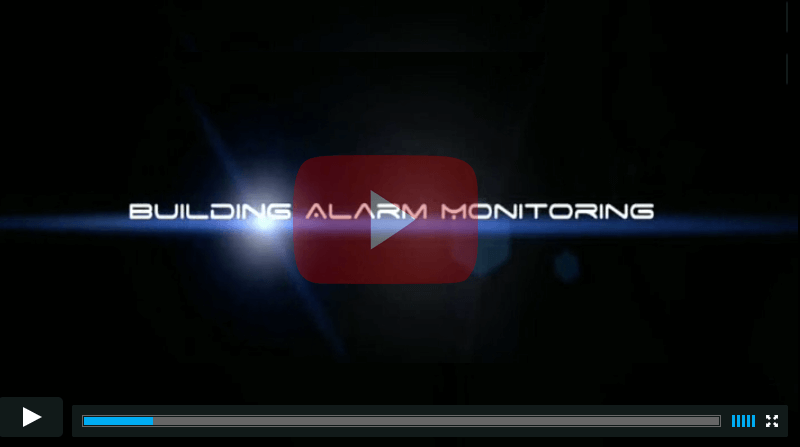 Open-close monitoring is used with this option so that we can ensure the alarm panel is properly following the desired schedule and that the system is auto-arming. Weekly reports confirm that your system is fully operational. As with most home systems, it’s become standard practice in the commercial security industry for operators to call clients after an alarm has been triggered to check in someone has accidentally activated the alarm, thereby preventing a “false” dispatch. We provide this service as well, but do encourage our clients to call us should an alarm be tripped by accident. Want to secure one portion of your space while allowing the other to be accessible by employees? With partition systems you can use one control panel configured to operate multiple areas. Ensure your elevators are being monitored 24/7 and connected to necessary help. Our elevator security systems include a special phone connected directly to a pre-programmed telephone number in our monitoring facility; should a person in the elevator pick up the phone, our operators can immediately contact the necessary individuals to begin a rescue and provide any medical assistance necessary. All hardwired fire alarms included in your systems are checked daily via an automatic communications test. If our CSAA Five Diamond Central Station fails to receive the communication at the scheduled times, we will notify you and connect you with our Service Department to quickly determine if any repairs need to be made to the system. By law, all fire alarm signals received are automatically forwarded to the local fire department. If your facility needs an exception to this procedure, it must be approved by the local fire marshal or fire chief. Fewer false alarms increase safety for everyone. Click to learn more.